Having a personalized home theater system is nothing less than a dream-come-true. Many people save their money and even put in overtime at their jobs to gather enough funds to afford a home theater. However, purchasing the system is not the only challenge; arranging it in a presentable yet stylish manner is crucial too. In actuality, it doesn't matter whether you have a brand new entertainment center or an old one that got handed down to you. If you have arranged and placed all the equipment and furniture in a tidy manner then it is going to appear elegant and impressive. In order to help you attain such a well maintained entertainment system, in this article, we are going to present you with some quick tips to rearrange it properly and enhance your entertainment experience. 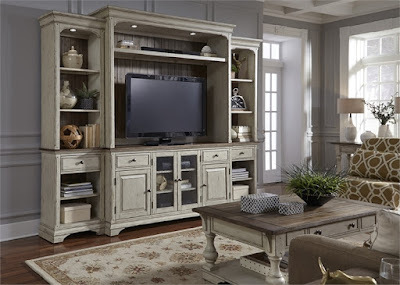 If you are resetting your old entertainment center, the first thing you need to do is disconnect all the wires and devices and spread them separately on the floor. There are chances that the cables might be dusty; better spread a newspaper or a piece of cloth to keep the floor clean. Now, using a clean cloth, wipe away the dust from all the devices and cables. You can use a slightly damp cloth to do so, avoid contact with the live wired region of the cables though. The most annoying thing about improperly arranged entertainment centers is not being able to view the screen properly or having to turn your head for a better view. Thus, the next important thing to determine is a suitable place where the screen can be placed for optimal viewing. Usually, the home theater system is placed in the middle of the front wall, with rest of the furniture surrounding it. This arrangement enables everyone to enjoy a movie with bothering their necks. The home theater experience is void without thrilling and engaging sound effects. Thus, determine the right place in the room to set up your speakers. Make sure that sound would be distributed evenly throughout the room from that particular position. If you have more than two speakers, it is preferable to place them in opposing corners of the room. Once all the positions have been decided, it's the time to wrap up all the cables and devices for the placement phase. Cables usually get tangled up together, making cleaning difficult. In order to avoid the mess, it is better tie them with a ribbon, keeping them organized. By doing so, they can easily be managed and hidden away. After the cleaning and wrapping of cables, it's the time to connect the devices again and place them back in their pre-decided positions. Once done, go ahead and plug in the main switch to check whether everything is working properly or not. If you don't have an entertainment center of your own and are thinking to buy one, then Home Cinema Center is the ideal destination for you for that very purpose.